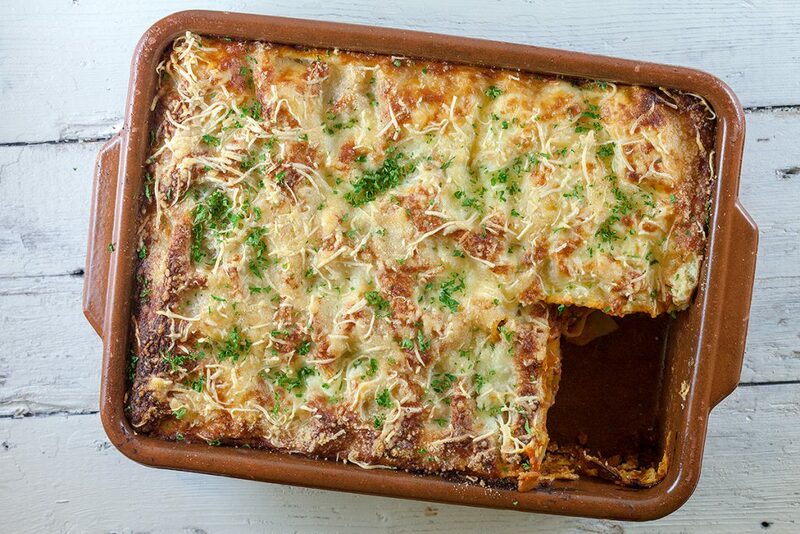 A standard lasagna, but instead of bechamel sauce we’ve used ricotta. 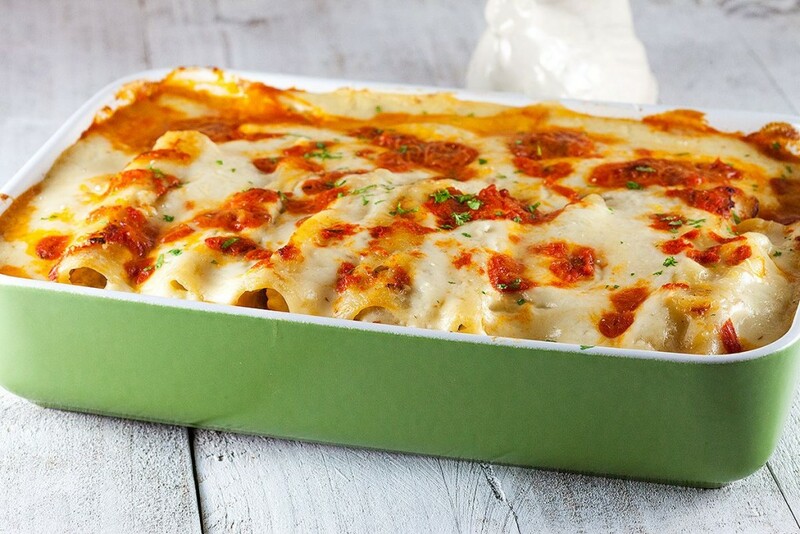 This ground beef and ricotta lasagna is creamy and filled with tomatoes and cheese. Have you ever filled cannelloni with chicken thighs and smoked bacon? WOW, what a combination, seriously! Serves 6 people, or does it? 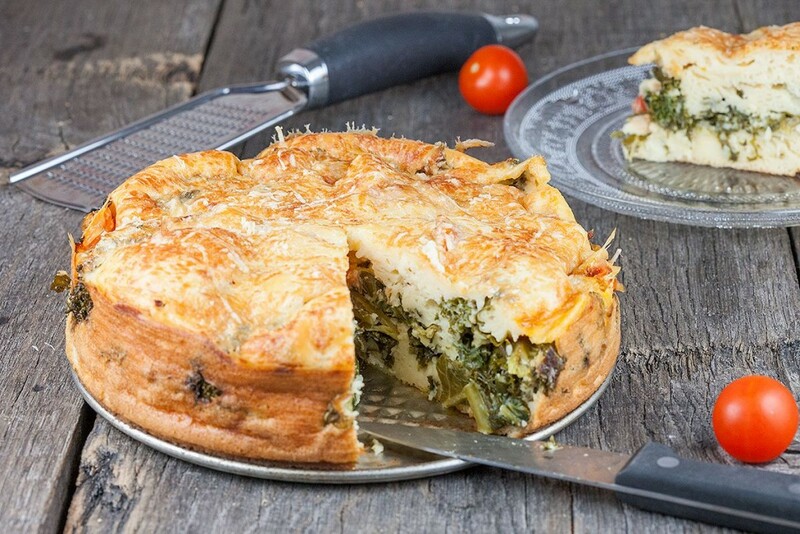 Even if you’re not a vegetarian, you will love this vegetarian kale and cherry tomato pie. Serve as a main dish or as a starter. Ready in 40 minutes. Amazing vegetarian main dish for a lovely evening meal. 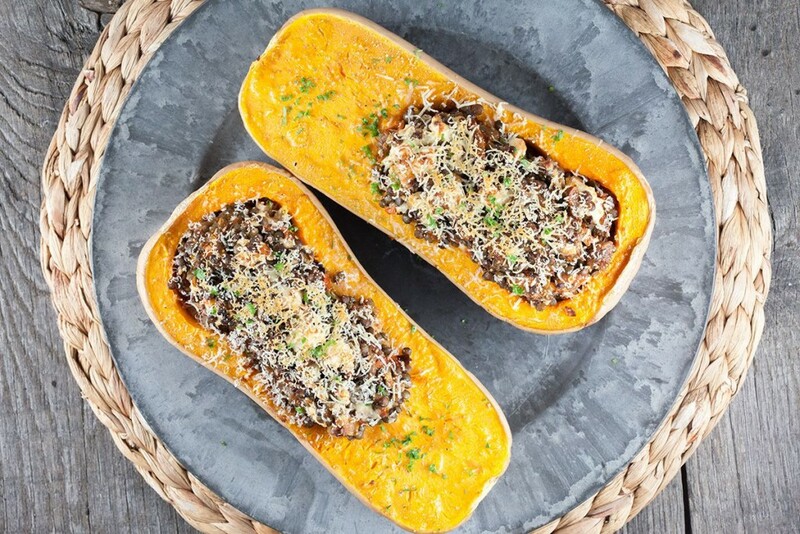 Butternut squash filled with lentils and feta is quite filling and full of flavors. 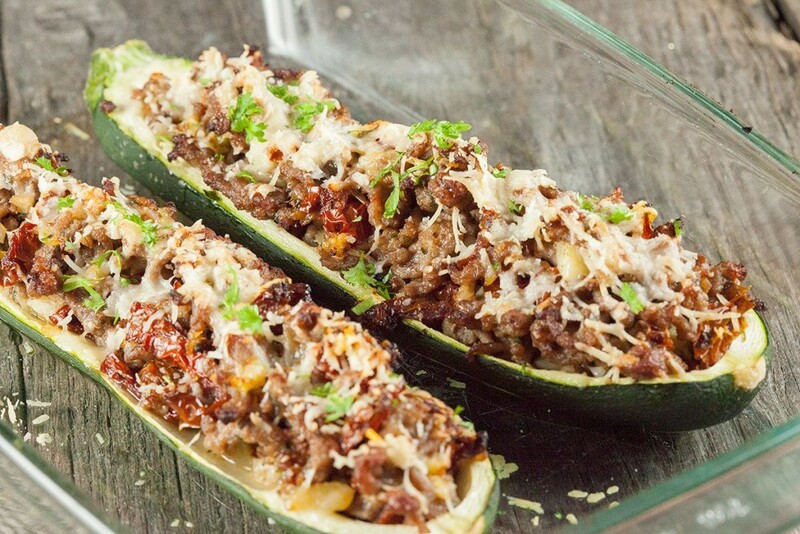 Minced meat stuffed zucchini boats topped off with cheese and made extra delicious with the addition of sun-dried tomatoes. Ready in half an hour. Having people over for dinner? 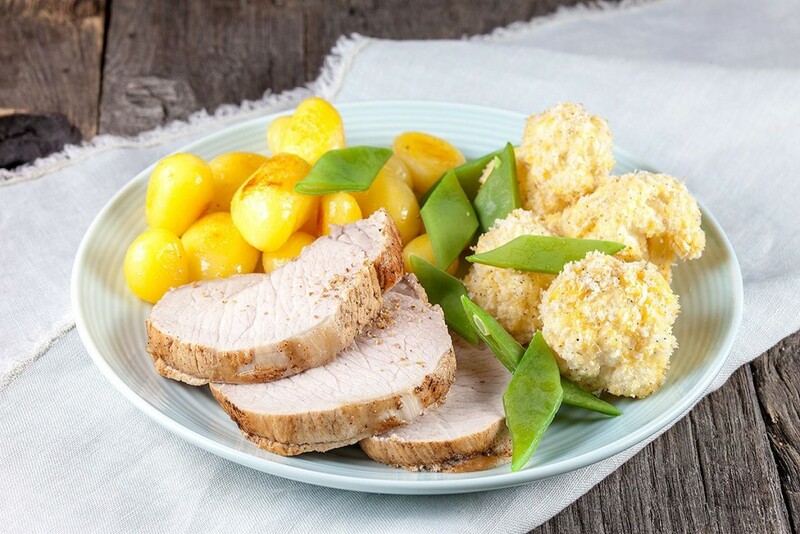 Go get yourself a lovely pork roulade and let it be the star on your dining table! Including a great cauliflower recipe!